How can it help? – This report, written by the Economist and the Barilla Center for Food and Nutrition, investigates best practices in food sustainability across the world. 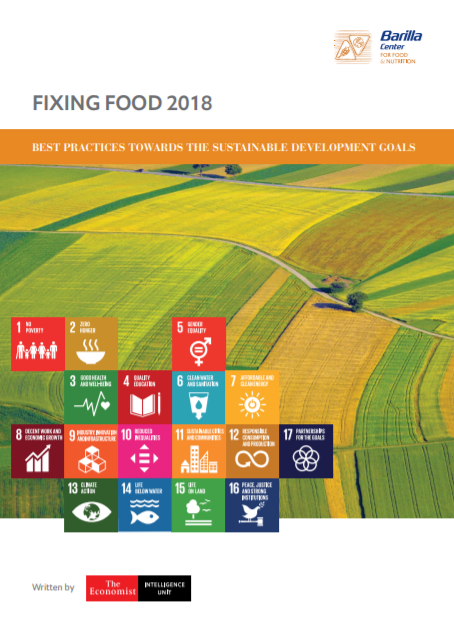 Through the three pillars of the Food Sustainability Index (FSI)—sustainable agriculture, nutritional challenges, and food loss and waste—this collaborative report draws on findings from 67 countries to outline progress made thus far and steps ahead on the road to sustainable food production. More, the indicators that comprise the FSI provide a framework to meet many food and agriculture related aspects of the Sustainable Development Goals (SDGs) and Paris Agreement. This report contains valuable insights for policymakers, companies, health authorities and other stakeholders.